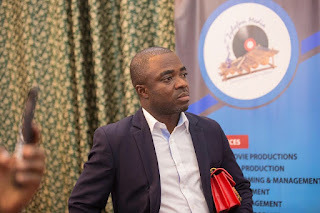 The Head of Communication at Zylofon Media, Samuel Atuobi Baah, popularly known as Sammy Flex has in a passionate manner lambasted people, especially the two giant political parties in the country (NPP and NDC), for currently doing everything in their power to score some very cheap and unnecessary political points due to the predicament of the embattled gold dealership firm, MenzGold. Speaking on his ‘Showbiz Agenda’ entertainment review show on Zylofon FM this morning, he questioned the motive behind the press conferences which were called the New Patriotic Party and the National Democratic Congress yesterday, January 16, 2019. According to Sammy, the only thing that these events achieved was to cause more pain and horror for the customers who have their savings with the company. The radio and TV presenter also stated that he was quite shocked yesterday when he heard a communication person ask why Zylofon Media was still operating. In his submission, he asked this unknown communication person if he has any company out there which will be able to absorb or give all the people the company employs work once it is shut down as he wants. Sammy made the point that unlike him, many people the company employs may have a problem and a challenge to get a job once the entertainment company is closed and as such, he asked those who are going on the rampage with the call for the shut down of the company should tone down a little.